Autumn is just around the corner, and I am dreaming of cooler days and the leaves changing colors. Autumn is my favorite time of the year. I wish it could be fall all year long. Does anyone else agree? 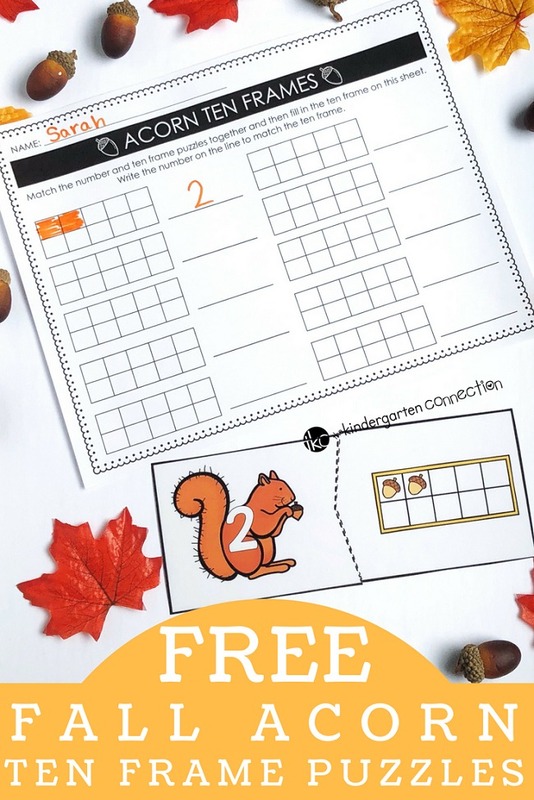 Today I am sharing another set of themed 10 frame puzzles with a fall theme that you can use all fall. 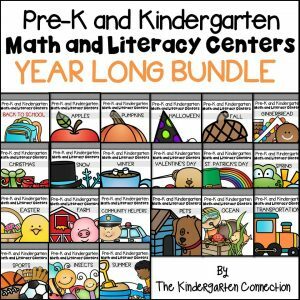 *Pair this with our Fall Centers for season-long learning! 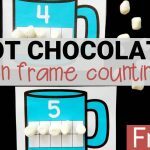 We have been using these ten frame puzzles as a morning basket activity for preschool and they are perfect for number and counting review. 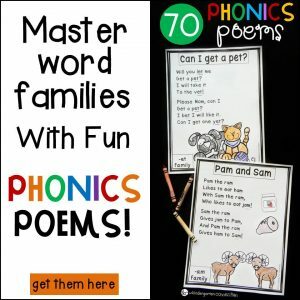 They also make the perfect morning or center work for preschool and kindergarten. Set up is easy! Simply print, laminate for durability, and cut out around the whole puzzle. Then cut them down the center of the card along the dotted line so you have two pieces. Like I mentioned above, we have been using these in our morning basket. Our morning basket is simply a small basket of simple activities and stories that we sit down and do every day right after breakfast. Morning basket is a peaceful and calm way to start our day and is great for reviewing skills that we have been learning. I simply put the puzzles in a sandwich baggie and we get them out and put them together. Students will be able to check their own work with these puzzles because they are self-correcting. Each puzzle, #1-10 only has one match so students will know if they have correctly matched the number and ten frame pieces. 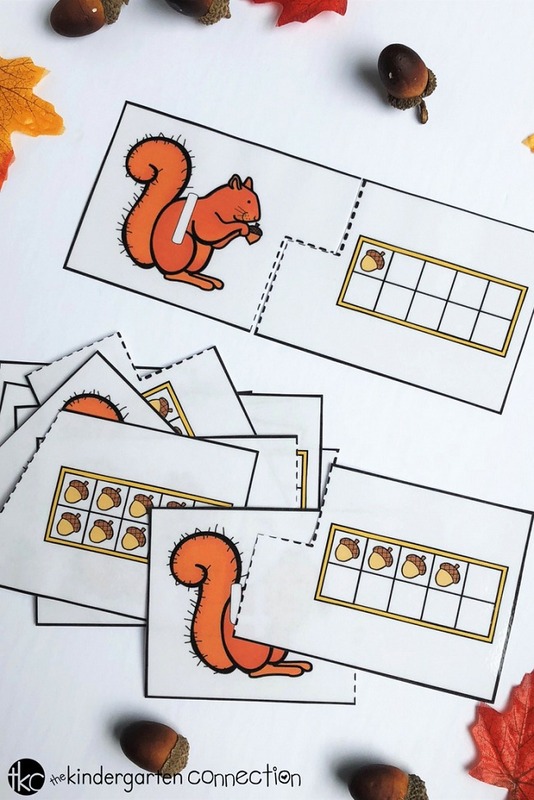 You can give students all of the pieces at one time and have them match the squirrel number card to the acorn ten frame card, or you can start them off with a smaller group of numbers. This will allow your students the opportunity to master the concept of the activity without getting overwhelmed. Switch out the cards once they have completed the first set, or add in additional cards as they continue until they have completed all of the cards. Once a puzzle is matched, students will go to the recording sheet, fill in a ten frame, and write the number on the line. Over the last several months of using the many different 10 Frame matching puzzle sets we have shared, my 4-year-old daughter has become more confident in identifying numbers, counting, and understanding how a ten frame works. She can quickly and easily identify numbers five and over because she has learned that the entire top row equals five, and then she can just count on from there. I love the numerous learning opportunities and self-discovery that can happen with such a simple activity. Use manipulatives to fill in the ten frame side of the cards and work on one to one correspondence. Laminate the cards and use a dry erase marker to trace the number side of the card. Use stickers or other manipulatives to fill in the ten frames and write numbers on the recording sheets. 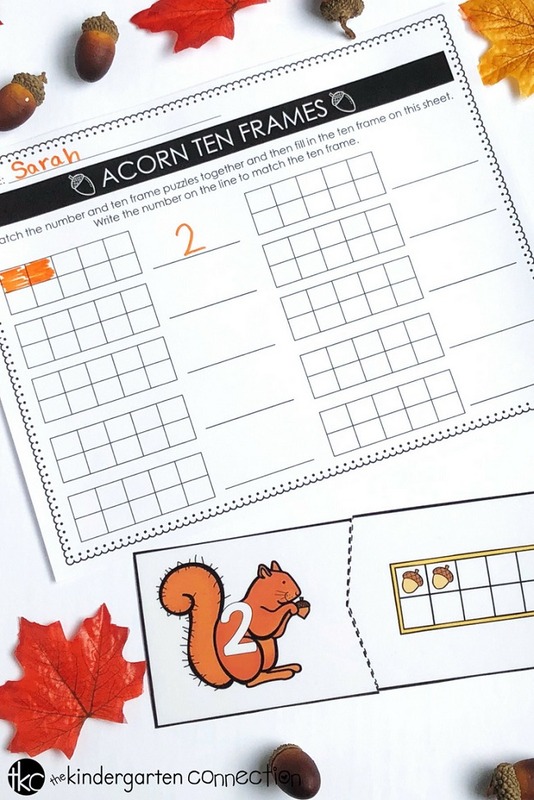 Use acorn manipulatives to count out the correct number of acorns under each of the squirrel number cards. Ready to practice number recognition and counting? 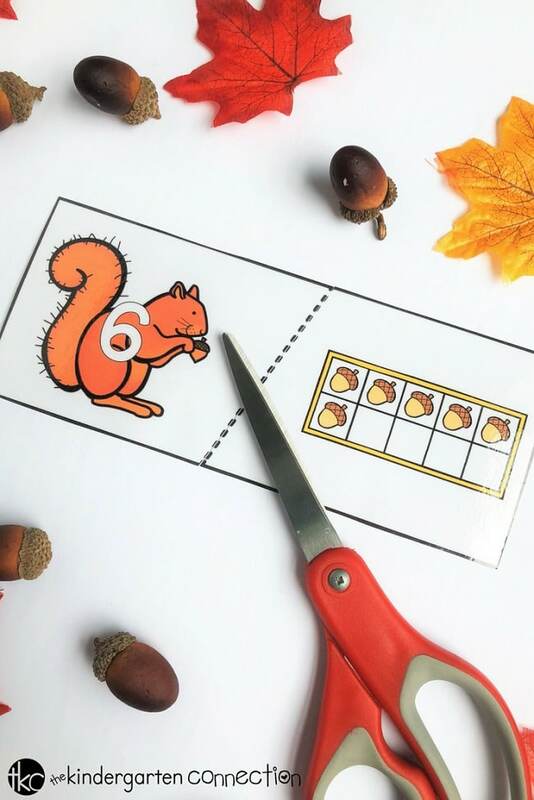 Grab your copy of the acorn 10 frame puzzles by clicking the yellow button below! 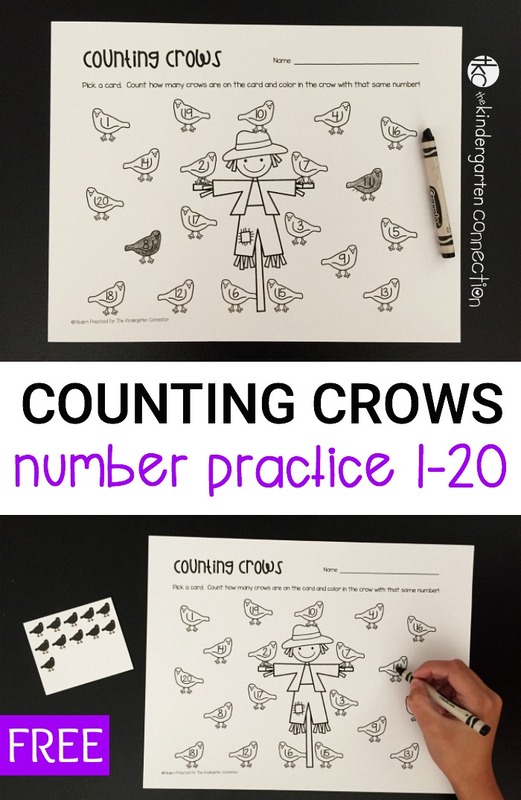 Then, keep the fall-learning fun with our Counting Crows Printable! 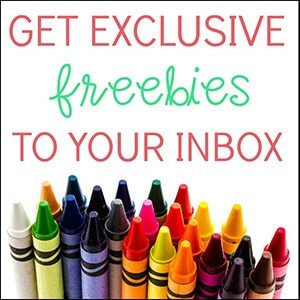 Heidi is a former teacher turned SAHM to two little ones who is the author of Mac-n-Taters:Play.Learn.Grow. She loves learning through play and letting her children be little. They certainly don't stay little for long, so it is super important to her to let them be little and to find fun, hands-on ways to play and learn. 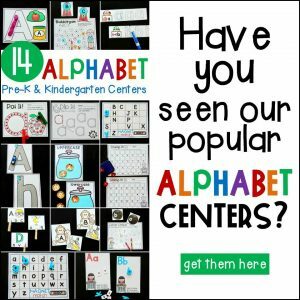 Heidi loves teaching with themes and shares fun, play-based learning activities and ideas on her blog, Instagram, and Pinterest to go along with the themes she is doing with her littles.